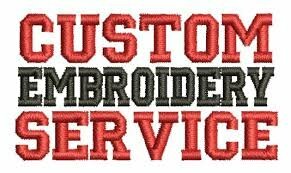 Our services include shirts, hats, blankets, bags of all shapes and sizes and more! You can give us the image you want and we can digitize it and put it on whatever you need! You can provide materials or we can provide them and you pay the difference.